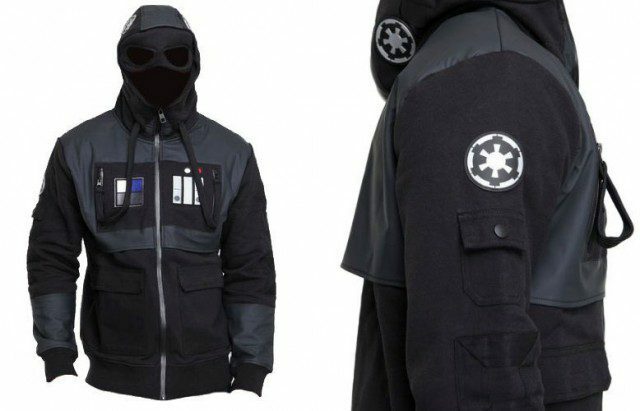 This is a limited edition hoodie jacket based on the Imperial Tie Fighter jacket in Star Wars. Made by Marc Ecko Cut & Sew in partnership with Lucasfilm Ltd, this is a limited edition Star Wars collectible that is selling out fast and has already sold out from Shop Ecko. The Star Wars Imperial TIE fighter pilot design features salient details that will please fans, as well as design aesthetics that make it a creative work of fashion on its own.